Portobello mushrooms, goat cheese, balsamic, and honey- what could be better? Some of my favorite flavor combinations come together in this delicious spread. I used to hate mushrooms growing up. Somehow, I came to taste portobello mushrooms and it changed my mind completely. I realized that I actually like just about every mushroom except the button mushrooms! Portobello mushrooms pair extremely well with balsamic vinegar and goat cheese. 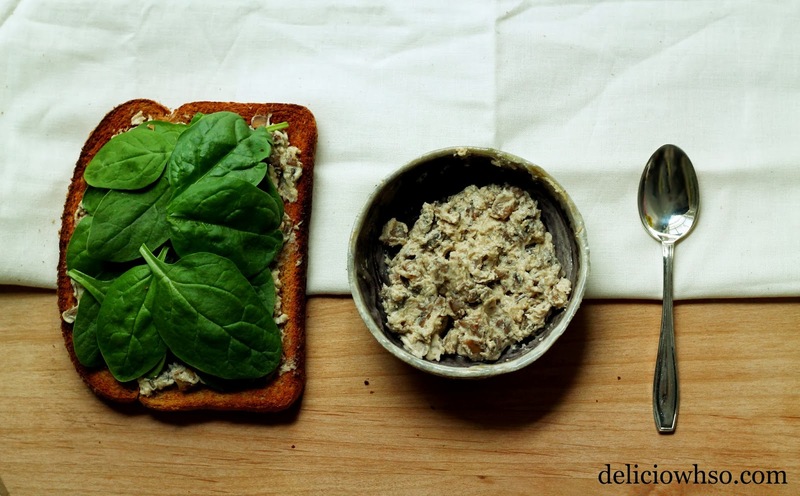 The honey in the spread adds a sweetness to create a balance and symphony of flavors to enjoy. Keep reading to see how to create this easy spread for yourself. 1. Cut the mushrooms to a small dice. This means about 1/4 inch dices. 2. Heat a pan over high heat. Add 1 tbsp of olive oil to coat the bottom of the pan. 3. Once hot, add diced mushrooms all at once. Then, add salt, pepper, and garlic powder. 4. Mix slightly and add the remaining olive oil. The mushrooms tend to soak up the oil very quickly and need some more to keep from drying out. 5. Once the mushrooms have browned slightly and are tender, add the balsamic vinegar and mix until it evaporates. Remove from heat. 6. Allow to cool slightly. 7. Then, put mushrooms, goat cheese, and honey into a medium sized bowl. 9. Once incorporated, scrape whats on your hands back into the bowl. 10. Serve when finished. If you want to save it for later, just store it in the fridge. 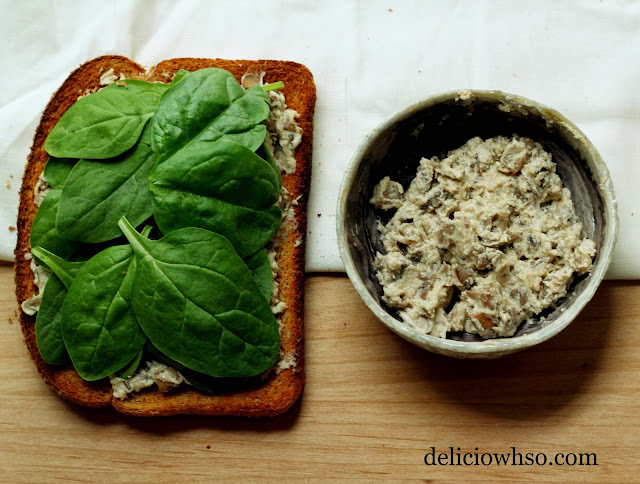 I used the versatile spread on a piece of toasted whole wheat bread and topped it with some baby spinach for an open-faced sandwich. I imagine putting an over easy egg on top would be a delicious way to add extra protein. You can also use the spread on your next grilled cheese or burger, on top of a salad, or serve it with crackers at a party. Not only is it delicious, it's simple and quick to make.